Family owned and operated since 1898, Lucien&apos;s Manor is South Jersey&apos;s premier catering and banquet facility with over a century of tradition and success meeting and exceeding the expectations of clients. Meticulously landscaped gardens, indoor and outdoor waterfalls, a marble pergola and an expansive foyer with grand staircase offer the bride and groom a number of locations for beautiful wedding portraits. Amenities such as door-to-door valet parking, concierge service and attended coat check will make your guests feel like royalty. Skilled event coordinators will assist you in all facets of the planning process, from the initial consultation until the last dance. You will quickly see that your event is as important to them as it is to you, making Lucien’s Manor the ideal setting for your special occasion. Our highly experienced professional, culinary and catering staff, excellent food accompanied by attentive service, and the Manor&apos;s elegant architecture and interior design all combine to enrich your special occasion, making it an affair your family, friends and guests will never forget. Whatever size or style, you can be sure that your wedding or special event at Lucien&apos;s will receive the attention necessary to accommodate your group&apos;s special needs and requests! Lucien’s Manor was AMAZING! There are truly not enough words to describe or convey how fantastic it was to work with everyone from start to finish there. The staff are incredibly helpful, professional at all times, attentive, and just all around wonderful. My guests are still commenting about how great the staff were, and even more, how absolutely delicious the food was. You cannot even begin to understand or appreciate the sheer volume and quality of all the food from the cocktail hour to the cake and Viennese table. Thank you to everyone at Lucien’s Manor for the best celebration of our life! 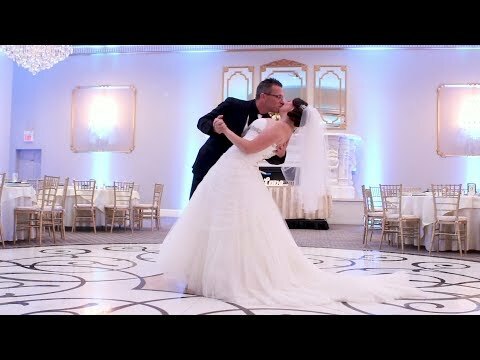 Lucien’s went above and beyond making our wedding a night nobody will forget. There is usually someone who complains about something, but we have had people texting us days later to tell us how beautiful and amazing everything was. The day the food was the best they have ever had at a wedding. Chris and Michelle went above and beyond for us all night. There wasn't a moment me or my husband did not have a drink in hand. Nichole, Robin, Ed and Frank were all amazing people to work with and literally will do whatever they can to accommodate you. We will never forget how beautiful everything was! Thank you to everyone at Lucien’s Manor for the best celebration of our life! Ever since the first day I walked into Lucien’s Manor and walked into La Grande, my heart was won over. I knew it was the place I had to get married. Robin, Peggy and Nicole were all so amazing to work with. I especially became closest with Robin and she was so helpful and patient with me. Any questions I had, she was so prompt and answered everything I ever needed to know. I never felt worried about anything because she always assured me everything would be perfect and it truly was... perfect. My guests all had such an amazing time and I am so sad that it’s over because I feel like I just want to relive yesterday all over again. Also to my Maitre D’s, Mark and Chris... They were the most fabulous, caring, hard working men I have ever met. They even bustled my dress for me which was completely amazing. Anything I needed and they were right by my side. They made last night even MORE amazing then it already was and I am so thankful to have met you all!